Cape Town is regularly voted one of the world’s most popular tourist destinations. However, it is widely seen as a summer destination. Visitors flock to the city’s streets, winelands and beaches during the warm months, but as the temperatures drop, so too do the visitor numbers. While visitors do come to the city during winter, it has long been Cape Town Tourism’s objective to attract more domestic travellers to the Mother City between May and August. 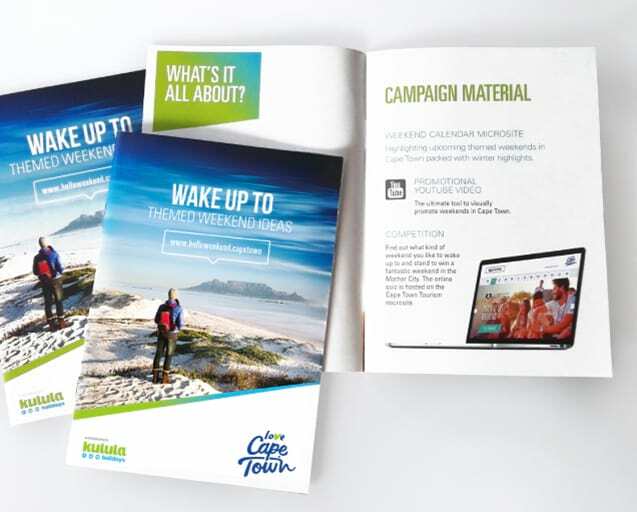 We were asked to conceptualise and implement a marketing campaign that would make the audience aware that Cape Town is a destination worth visiting throughout the year. The campaign needed to resonate with visitors on a personal level; and to build equity over three years. Through the campaign, we aimed to change the perception of Cape Town as a summer-only destination into that of a year-round destination. 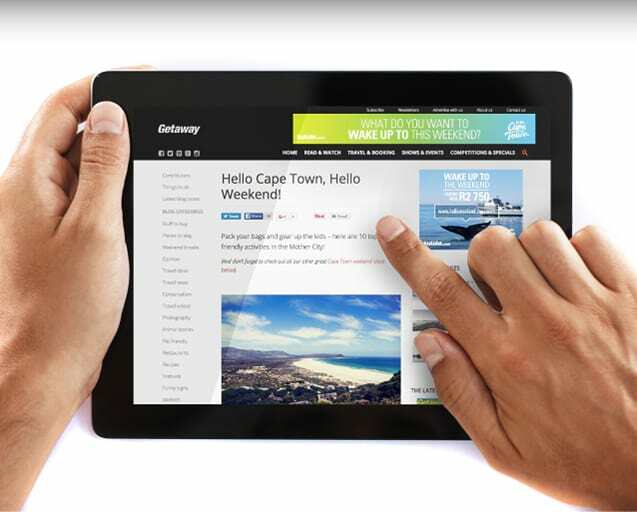 At the centre of the campaign is an online events and attractions guide to what to do in Cape Town over the weekend. Themed itineraries were created for each weekend of the year, using personality types as the hook to promote the content. The campaign was rolled out across a diverse combination of online media and platforms. 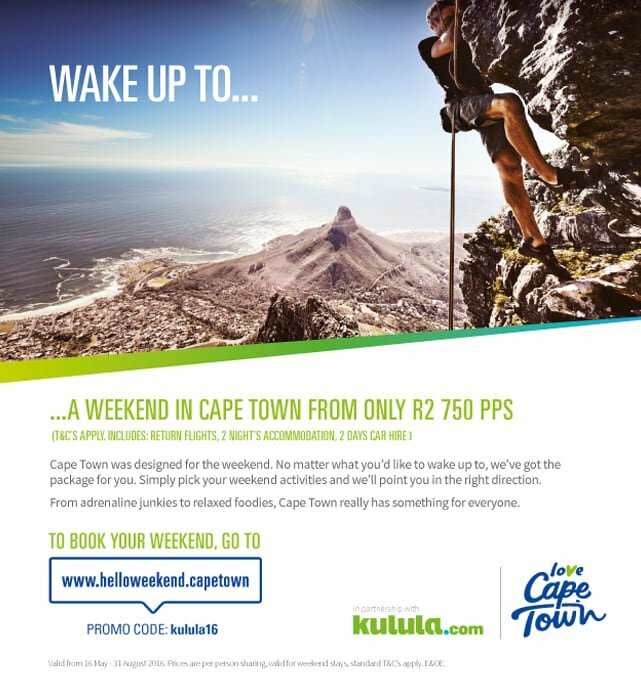 It strategically targeted a domestic audience who were encouraged to visit www.helloweekend.capetown, discover Cape Town’s off-peak offerings and book a package deal directly through our online travel partner. 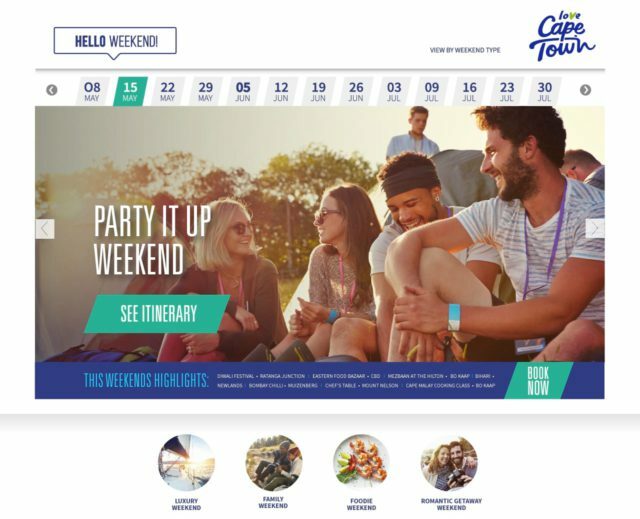 In the first two years, an online competition was activated on www.helloweekend.capetown and pushed across on social media to drive entries. We produced a range of Instagram videos and a radio advertising campaign that invited people to wake up to the weekend in Cape Town. 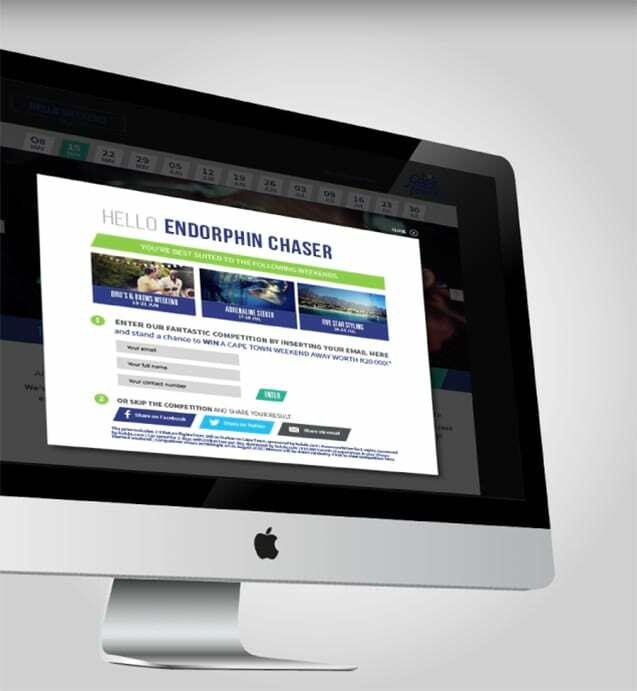 Traditional print channels were used to supplement the digital campaign. The campaign was promoted to the travel trade industry through a series of activations at road shows and conferences including Travel Indaba. 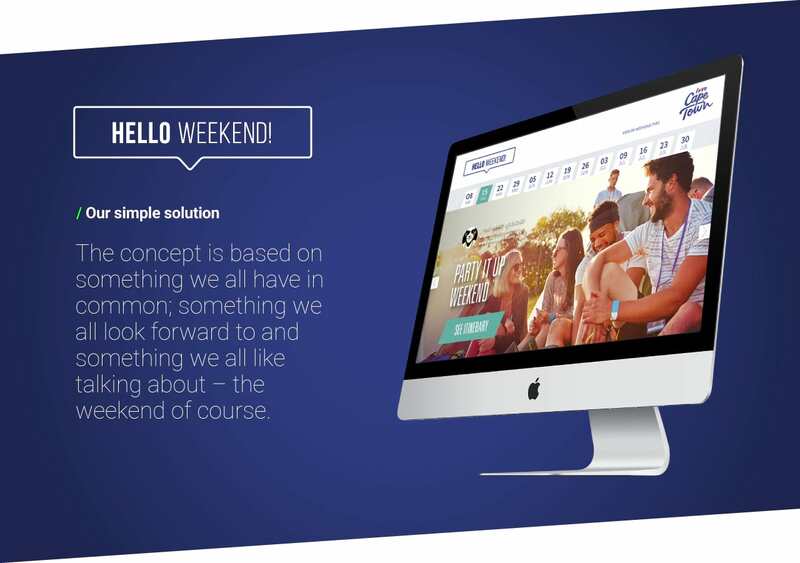 For these events, we produced specialized toolkits to entice the audience into promoting the destination. 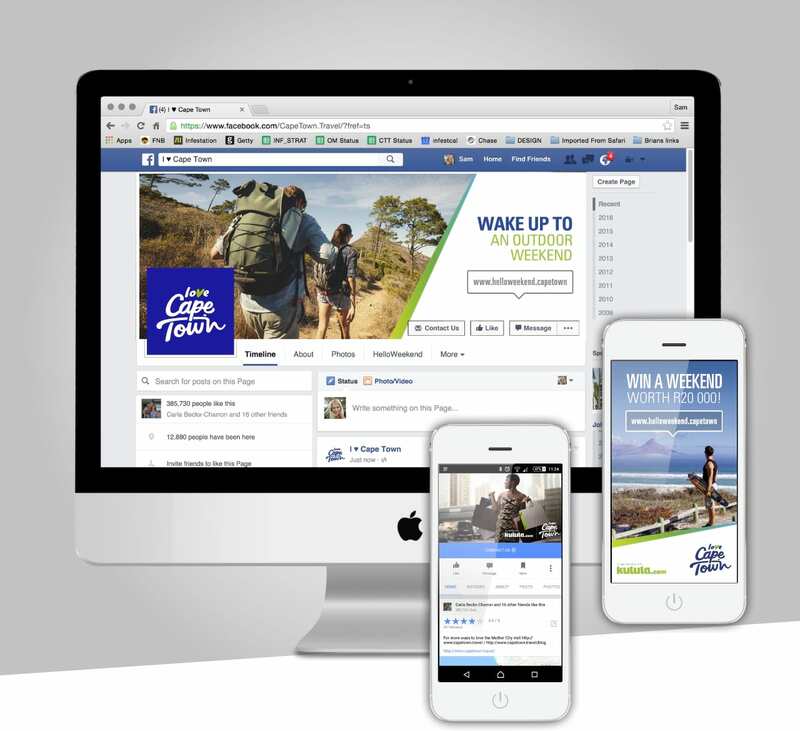 The campaign ran successfully for two years with the objectives of raising awareness of Cape Town as an all year destination, and driving traffic to our online booking partners. We measured the success of these two years by analysing the reach of the campaign and through leads generated to the available travel packages. In its 3rd year, the campaign moved away from focussing on the weekend, and leaned towards the brand's central offering. It played out on the capetown.travel domain and was promoted as a City Breaks promotion. http://www.capetown.travel/city-breaks-competition was the home to the competition.